Weight loss – not before time! – HubNut – celebrating the average! Weight loss – not before time! 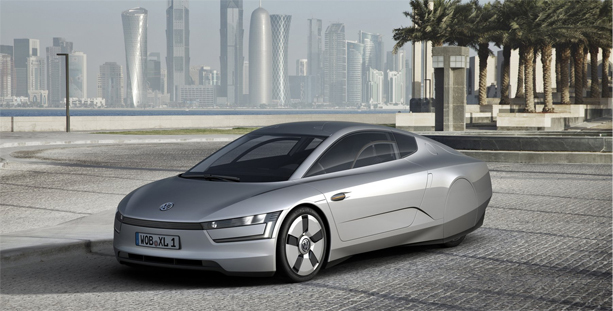 This is the Volkswagen XL1 – a concept that promises to deliver 133mpg. While that’s admittedly more impressive than the 45mpg of my 2CV, I love the that that this super-lightweight concept car still weights more – at 795kg – than my Tin Snail. Still, it’s a step in the right direction given how horrendously heavy cars have become. Of course, the environmental credentials may well be suspect too, given the exotic raw materials required. Nice try Volkswagen, but I’ll keep it classic for now.